Forget the Affordable Care Act—by far the biggest impact of the Obama Administration on global health has been in funding incredibly cheap, effective health interventions overseas at a fraction of a percent of the ACA’s price tag. America’s National Security Strategy recognizes that this work matters to our domestic security. “When a disease goes unchecked, it can endanger our own health,” it suggests. “When children are sick, development is stalled.” And yet, by continuing to sideline global health in implementing the security strategy, the Obama administration is contradicting itself and endangering us all. Let’s back up. A few years ago, the administration announced a big change to the country’s National Security Strategy: instead of encouraging different agencies to pursue their own disparate policies, the “Whole of Government” approach proposed we weave together the tools of defense, diplomacy, and development. The idea was that if we could unite our response to big, global problems and to tackle them on all sides, we’d be a much more efficient in meeting our security goals. In Afghanistan, for example, the new strategy partnered USAID and the Department of Defense to fund counter-insurgency investments. Take the case of the Obama administration-appointed special investigator general for Afghanistan. Here is an auditor with his eye firmly off the ball when it comes to cost effectiveness. He wants to shut down the USAID health program in Afghanistan because it is run through the country’s ministry of health, and he’s worried about corruption there. Not that he’s actually found any corruption—he just notes that the financial management systems operating in the government of one of the poorest countries in the world aren’t up to usual U.S. standards. What is the USAID-backed program in Afghanistan doing, exactly? It’s delivering basic health care to about 90 percent of the population at about $4.50 a head (compare that to per head health expenditure in the U.S.: $8,608). In no small part thanks to the impact of that program, Afghanistan saw the most rapid increase in life expectancy of any place on the planet between 2004 and 2010—from 42 to 62 years. About 100,000 kids each year aren’t dying in Afghanistan thanks to the decline in child mortality over just that six-year period. Yet the inspector general suggests we forget the fact that the program is achieving spectacular results, and we pay no attention to the fact that it is one of the very few parts of U.S. engagement in Afghanistan that has actually gone according to plan. That’s not just ignoring the whole of government, or our national security interests—that’s ignoring common sense. Or what about global vaccination programs that help keep Americans free of infectious diseases? For the past few years, America has supported some amazing programs to improve health outcomes worldwide. For example, the administration has made a $1.65 billion 2014 budget request for the Global Fund to Fight AIDS, Tuberculosis, and Malaria. The Global Fund is looking for $15 billion over the next three years, which it says will help save as many as 6 million lives. That’s an overestimate of the impact of the Fund’s money, but even if the direct number is really closer to 15 percent of that, or only 870,000, we’re still talking about twice the number of people the U.S. lost in all of World War II—a pretty impressive performance. Again, the United States pledged $450 million to the Global Alliance for Vaccines and Immunizations (GAVI) from 2012 to 2014. 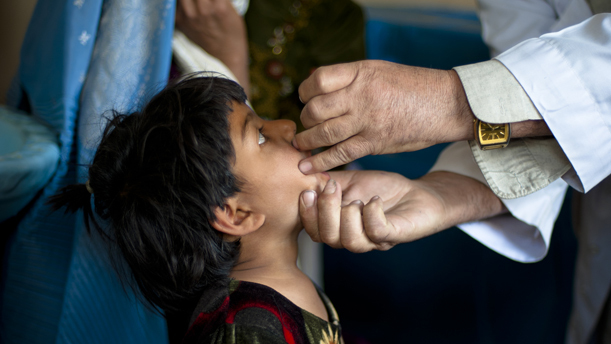 GAVI is on track to support developing countries in immunizing an additional quarter of a billion children by 2015, preventing nearly 4 million deaths in the process. That’s maybe three times the total of all U.S. military casualties in every war back to the American Revolution. Despite that immense success, other parts of the administration’s national security apparatus appear happy to ride roughshod over the U.S.-backed fight against global infectious disease. I’ve complained before about the fact that the CIA used a vaccination program as part of a failed intelligence gathering operation against Osama bin Laden. It didn’t even bother to complete the program, leaving a bunch of people unprotected against disease. But the knock-on effects continue: vaccination workers have been targeted again and again, and the number of parents refusing to get their kids vaccinated is on the rise. That’s a real health threat to the United States given the increase in vaccine deniers in this country who are leaving their own children at risk. For example, measles is returning to the U.S. thanks to declining vaccination rates; the same problem in France recently led to 5,000 hospitalizations and 10 deaths. Ten kids died from whooping cough in 2010 in California thanks once again to parents who refused to vaccinate their kids. So for purely domestic health reasons, it is about time America foreswore using vaccination programs as part of defense and intelligence operations. In fact, it’s about time ‘Whole of Government’ became a mandate for actors across the diplomacy, development, and defense sectors to start working together to strengthen national security using whichever tool is most effective to keep Americans secure. In some cases, that means defense and diplomacy should back development solutions. Or if actually getting support from the other parts of the triad is a stretch for the development leg, defense and diplomacy should at least leave it in peace to do its job. Just because USAID employees rarely shoot people doesn’t mean they can’t help make the world safer for America. Charles Kenny is senior fellow at the Center for Global Development, a former Schwartz Fellow at the New America Foundation, and author, most recently, of Getting Better: Why Global Development is Succeeding and How We Can Improve the World Even More. This article also appeared in the New America Foundation’s Weekly Wonk. *Photo courtesy of the Gates Foundation.